"The two projects were never one." Quaero is an outgrowth of the “1791 Drill Regulations” mentality Napoleon tried to eradicate. Amazingly, this multimedia vacuum cleaner still cannot organize and index what little it lifts from the cultural carpet. In contrast, Blinkx (“the world’s largest video search engine”) trumpets that it now has over 6 million hours of searchable TV and viral video content. Competitors such as the long-toothed T. rexes MSN, Yahoo and Google, plus aspiring adolescents Ask.com and Accoona, are no doubt thankful the distracted French government expensively sired such a transparent, predictable and beatable foe. Designed to fight the last war, Quaero will not become a step-change and thus ensures U.S. internet search hegemony for years to come. Unless, that is, France’s elected leader finds inspiration and creatively disrupts the nature and cadence of competitive EU digital initiatives. 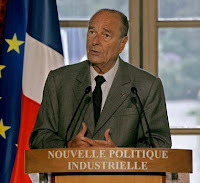 To begin with, President Chirac should correct an out-of-step viewpoint revealed at an Elysée Palace speech last January. There he stated “Tomorrow, that which is not available online runs the risk of being invisible to the world.” Unfortunately, this is already the case for what exists online. Despite years of effort, search engines reach only 2% of the internet’s vast, growing and largely unexplored data jungle. Jean-Louis Beffa, chairman of the executive board of the French Agency for Industrial Innovation (AII), said the consortium ran into a problem with technology, and must now reshape the project. 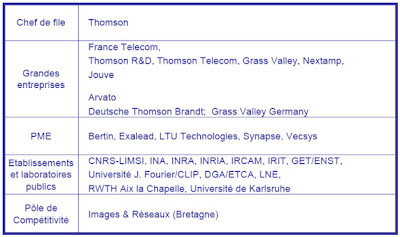 The French company leading the Quaero project, Thomson, wanted to concentrate on managing multimedia resources, while the leading German partner, Empolis, is focused on knowledge management, said Robert Havas, director of AII. Although France and Germany failed to agree on a focus for their work on search technologies, "co-operation between France and Germany is working well" in other research areas. Thanks for sharing that thought with us Robert, that's really comforting.